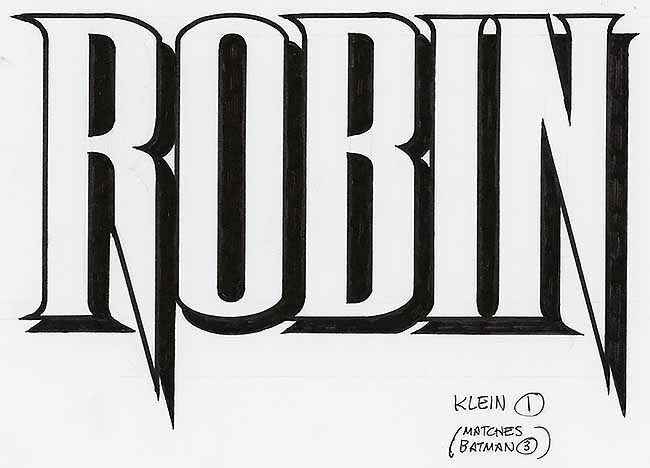 Robin images © DC Entertainment. 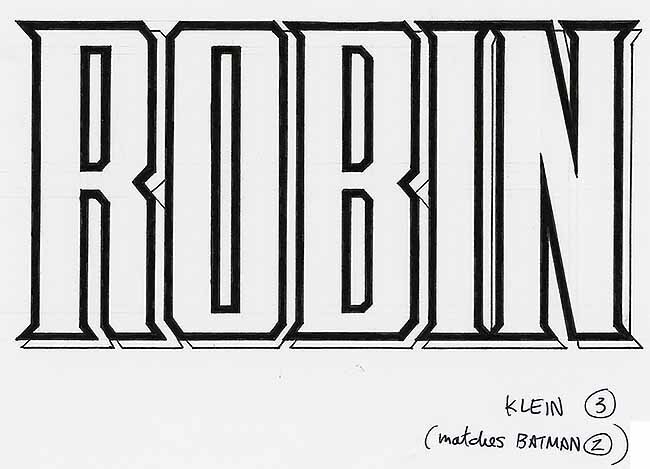 Some time in the early 1990s I was asked by DC’s Licensing Department to submit logo design ideas for Batman, which I wrote about in THIS post. 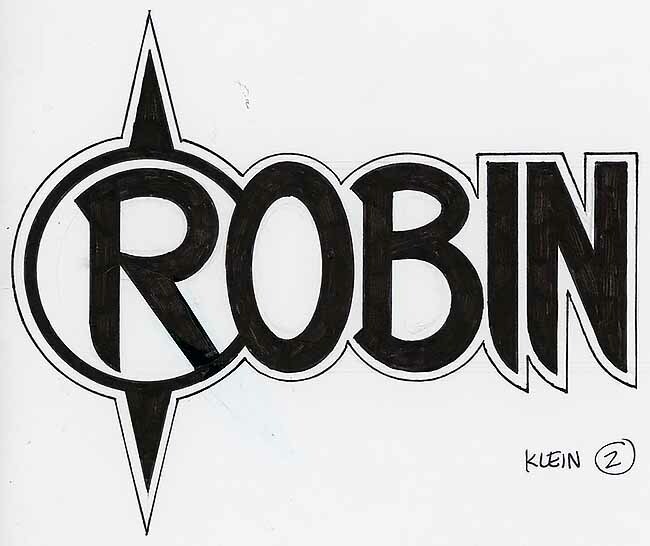 Apparently I did a few Robin designs as well, and I have three marker sketches. This first one is very tall, a clue it’s not a cover logo, and uses a serif style I still find appealing. This one, on the other hand is awful. 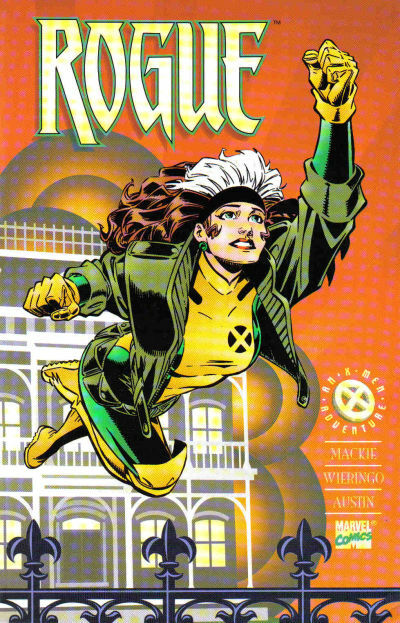 I think the R is from a symbol the character wore on his costume at the time, or at some time, and the rest is meant to match it, but it does that poorly. Even the letter heights and thicknesses don’t really match. Version 3 is standard block lettering with serifs, not a bad look, but nothing special about it either. As you can see in the notes, two of these matched two of the Batman sketches. None of these were ever finalized, I was paid a kill fee and they probably just used existing logos, a better idea. 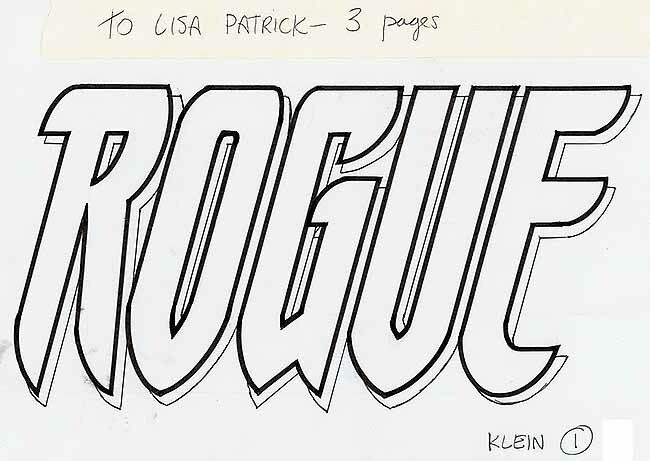 I also did some licensing logo designs for Marvel, and this one from an unknown date, probably early 1990s also, was not accepted at the time I originally did it, but in 1994 editor Lisa Patrick asked for designs for a cover logo for the character, who was getting a mini-series. I resent these rejected licensing designs. The second sketch I have is heavily cut and pasted. I think Lisa liked this one the best, but asked for a number of changes. The R and the bottom of the E are redrawn. I no longer have versions 2B through 2E, but judging by this one, they were a series of minor tweaks. 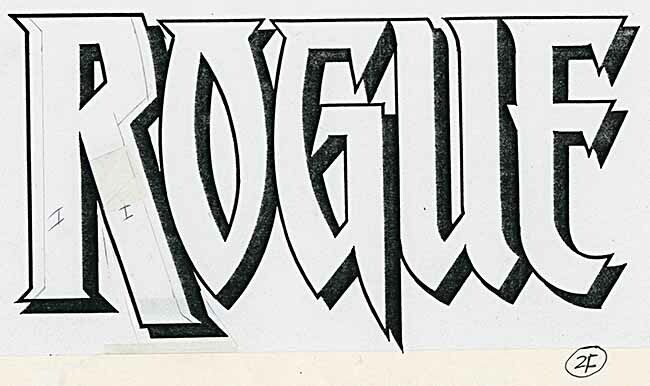 The R and the bottom of the E are again redrawn. I think I was getting exasperated by this point, as a note in large letters on this sketch (not shown) says: IS THIS IT? It was, except that I made the stroke weight of the R thinner to better match the rest, as indicated in pencil on the sketch above. 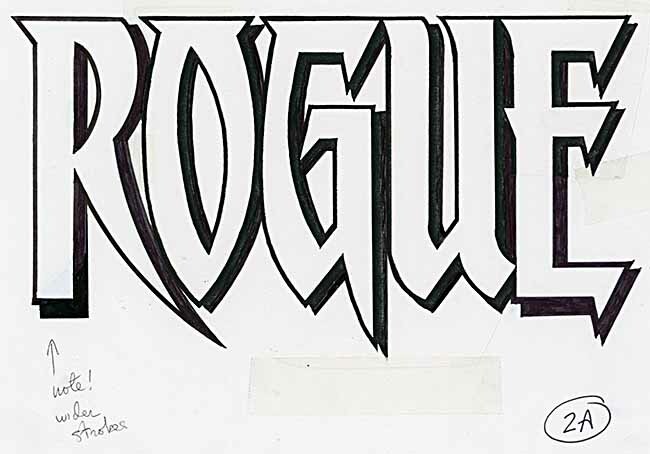 Here’s a photocopy of the final logo, done in ink on plastic vellum. I like it generally, though looking at it now I’m not crazy about the O and G, and I think the R should have had a curve in it somewhere. At least they bought it! As often happened at this time, most of the four issues had gimmicky foil logos that don’t scan well, and images of them look awful. This one is at least in normal inks, despite being cut off. 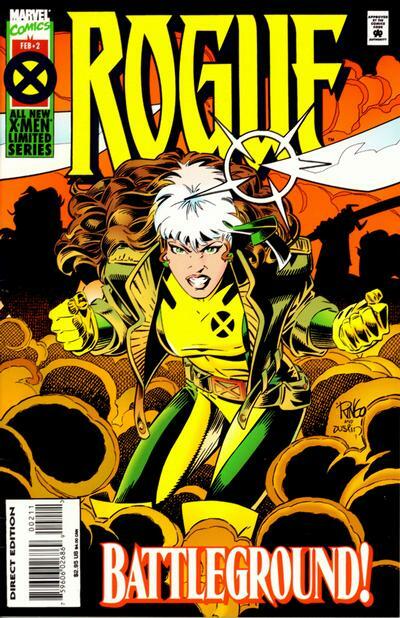 The only time the logo appeared in full was on this trade paperback collection. It looks pretty good here, though they removed my drop shadow and added effects in Photoshop. This entry was posted in Logo Studies, Pulled From My Files on May 6, 2018 by Todd. 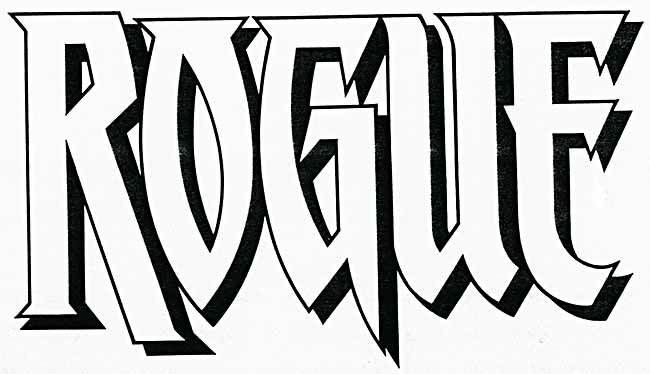 How about a quick logo study on MAD magazine? It should be relatively short as their have really been three basic logos, with the latest just debuting this year. I don’t know who did the new logo, but you probably do. I wish I had time to research that. Pretty sure Harvey Kurtzman did the first one, that’s all I know.